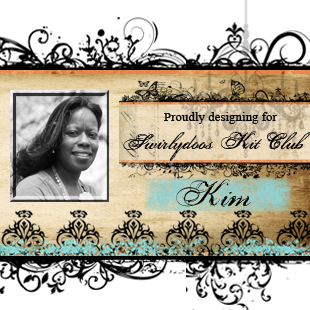 Hey Savages, Kim here to share some more of my layouts made with this months kit Celestial Summer. I had such a great time creating with this kit. First up is a layout featuring my Goddaughter. This photo was taken at her senior prom and it goes so well with the kit. These papers in the kit are amazing. They take mixed media products so well. 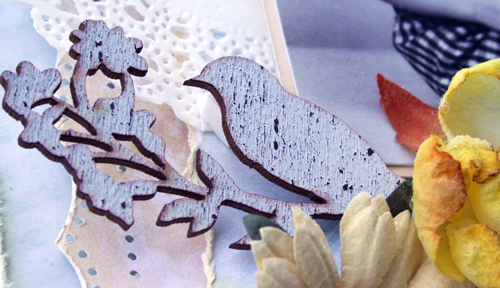 I did some masking, misting and stamping to highlight these gorgeous Blue fern papers. 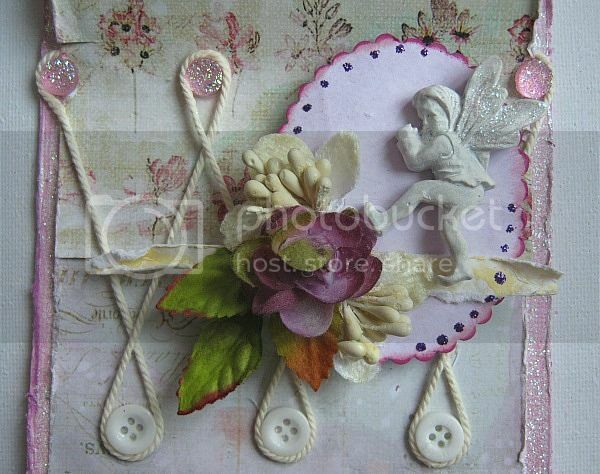 I used items from the main kit as well as the flowers, embellishment and mixed media kit. I also used a few things from my stash. 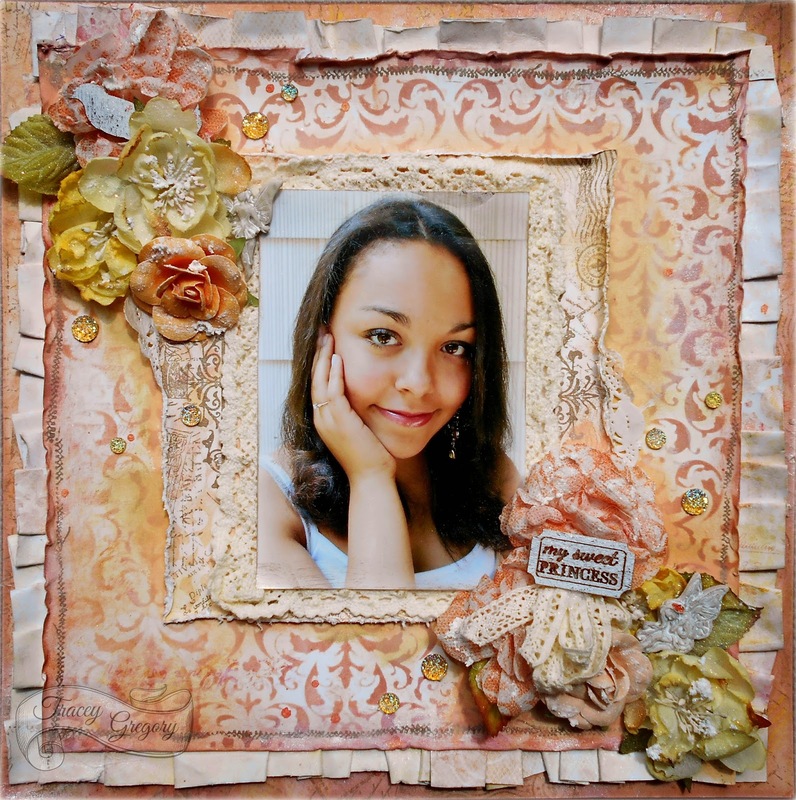 My next layout features an older picture of my niece from her kindergarten graduation.There are some Prima Princess papers in this kit, what perfect papers to highlight my sweet little princess. I did some masking and misting. I added a few items from my stash, everything else came from the main kit. 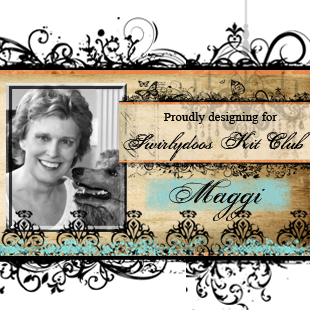 Thanks for taking a peek at my final projects with the Celestial Summer kit. Don't forget to stop by the Boutique and pick up your Celestial Summer kit, if they haven't sold out. 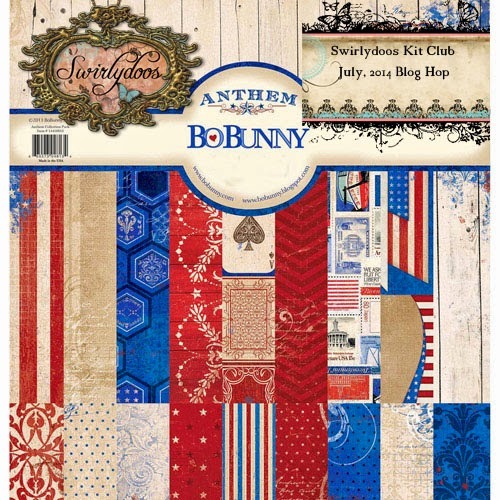 Or better yet, never miss another kit by subscribing to the monthly kits. 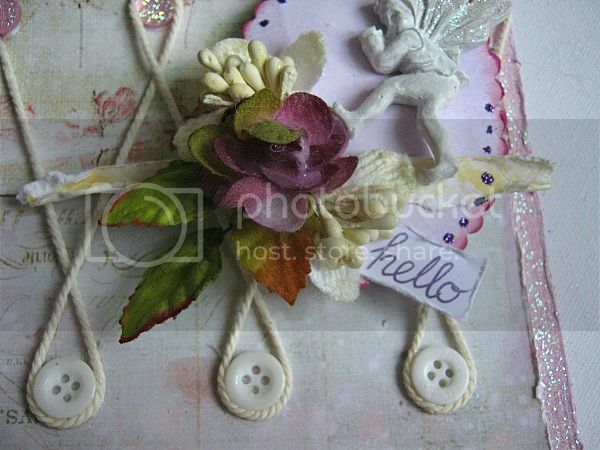 This weeks chosen layout is this beautiful page made by " Heifer21". Beautiful flower clusters. Cute butterflies and a sweet photo. All assembled in a neat composition. . 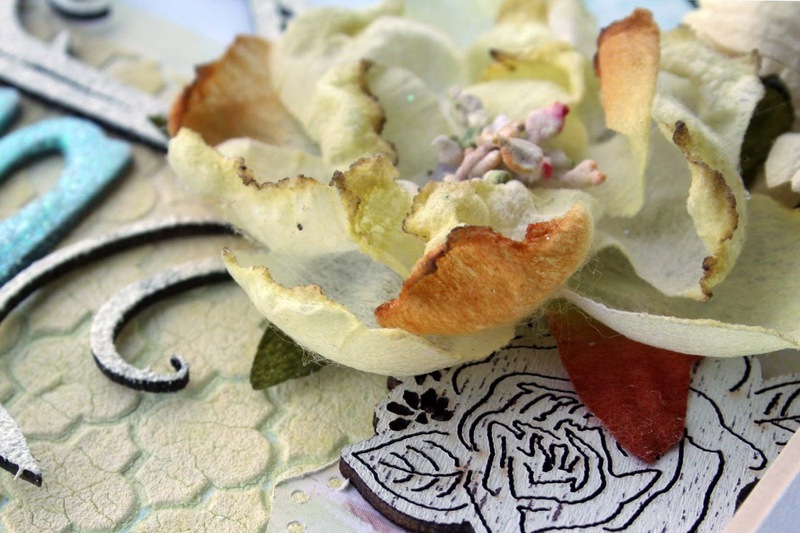 Altering chipboard with embossing enamel and Diamond Dust, plus a start to finish tag tutorial! 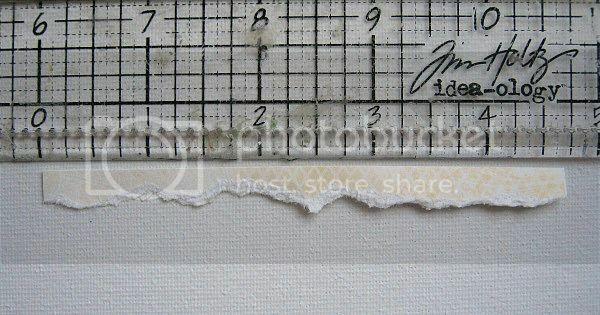 One of my favorite scrappy things in the whole world is embossing enamel and using it on chipboard! 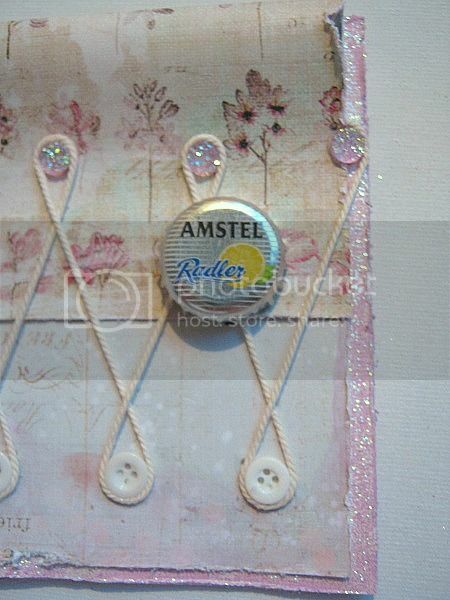 I've altered a Creative Embellishments chippy with embossing enamel and then used it on a tag in a start to finish tutorial. 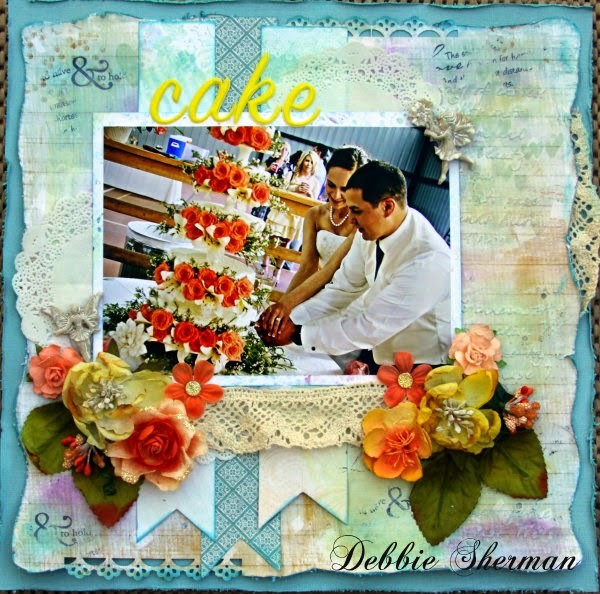 Our July kit has a beautiful collection of Blue Fern Studios papers, Ombre Dreams. This is my first chance to use Blue Fern's papers and I must tell you they are fabulous! 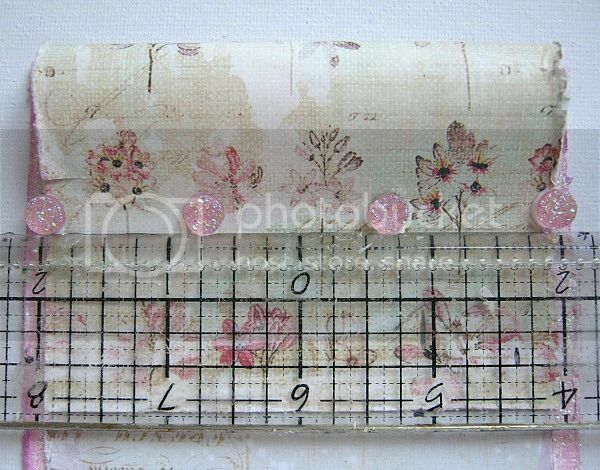 Definitely the heaviest weight papers I have used so they work really well with mixed medias. 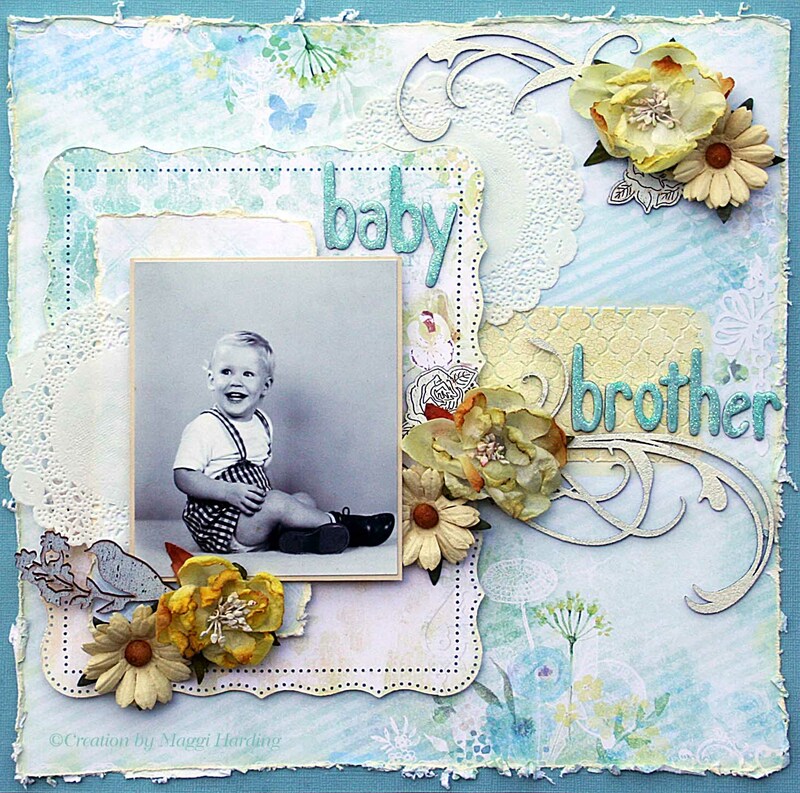 On this layout, I used a photo of my younger brother. He was the cutest kid ever, with blonde hair and blue eyes. 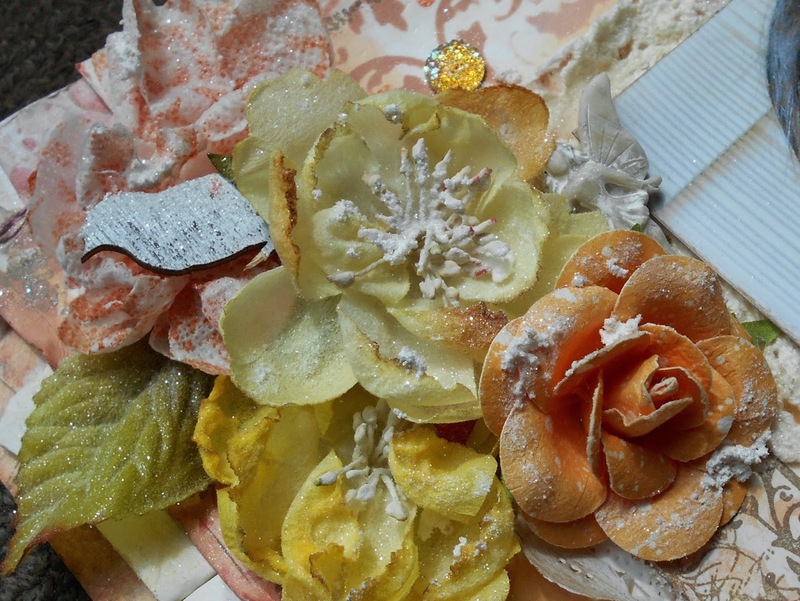 I chose one of my favorite color combinations, using blue cardstock from the cardstock add-on and those gorgeous Petaloo yellow Botanica blooms from the flower add-on. The daisies are from I am Roses. 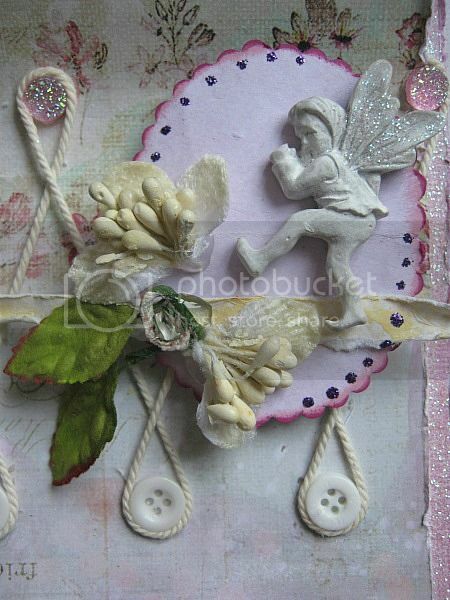 The chipboard pieces came in the Embellishment add-on and are a Blue Fern flourish that I cut apart and heat embossed. 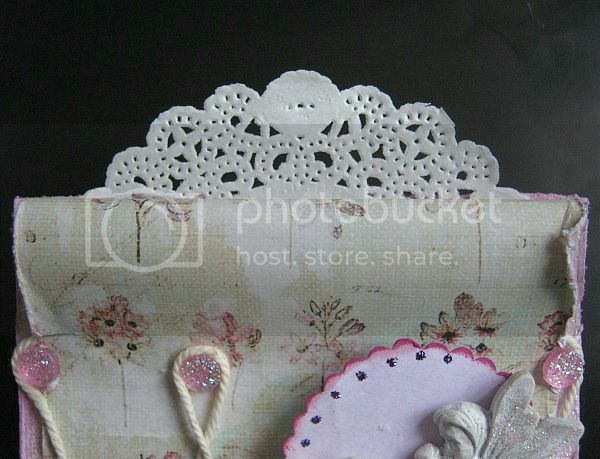 Those pretty doilies are part of the main kit. 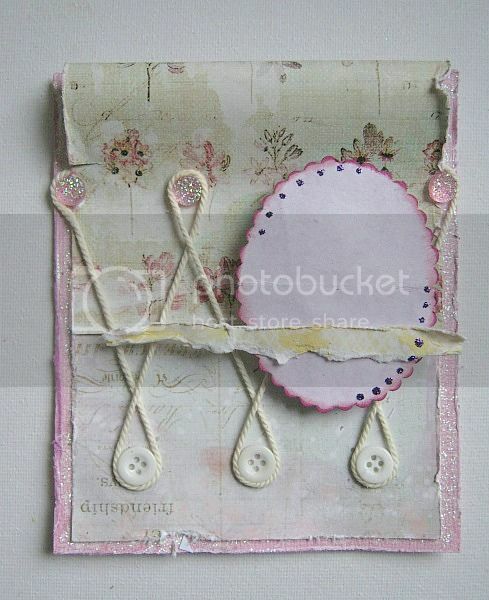 I love Prima's wooden embellishments and this one came in a set included in the Embellishments add-ons. 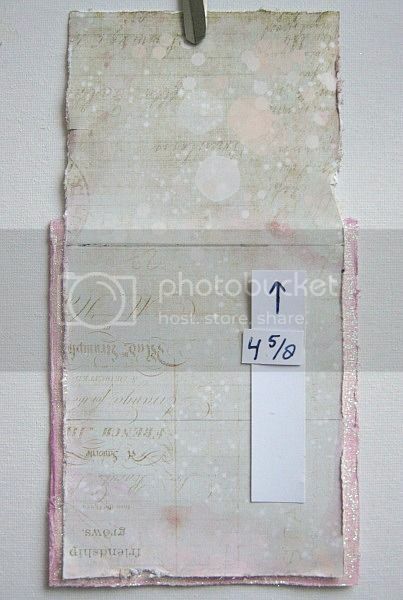 I did a little masking using Golden's Crackle Paste and a Prima mask - both from my stash. 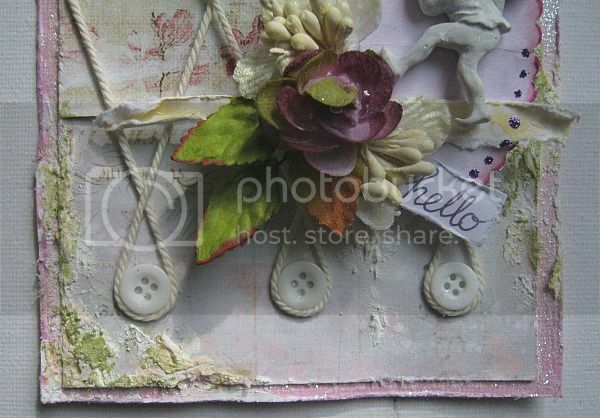 You can see Prima's wooden rose embellishment peeking out here, also from the Embellishment add-on. 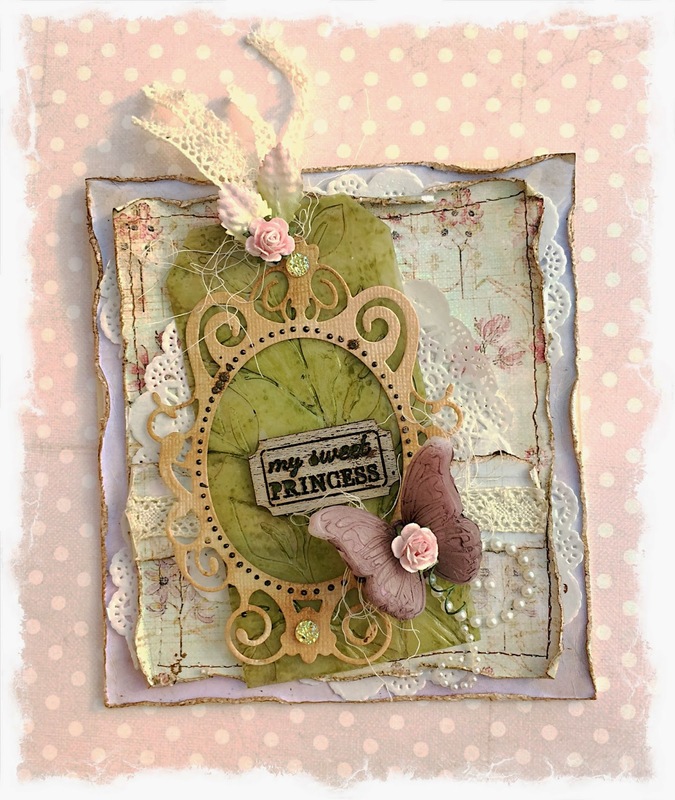 I have used nearly every smidge of paper that came in the kit but I did manage to put together this little card using scraps from Prima Princess paper that was also part of the kit. 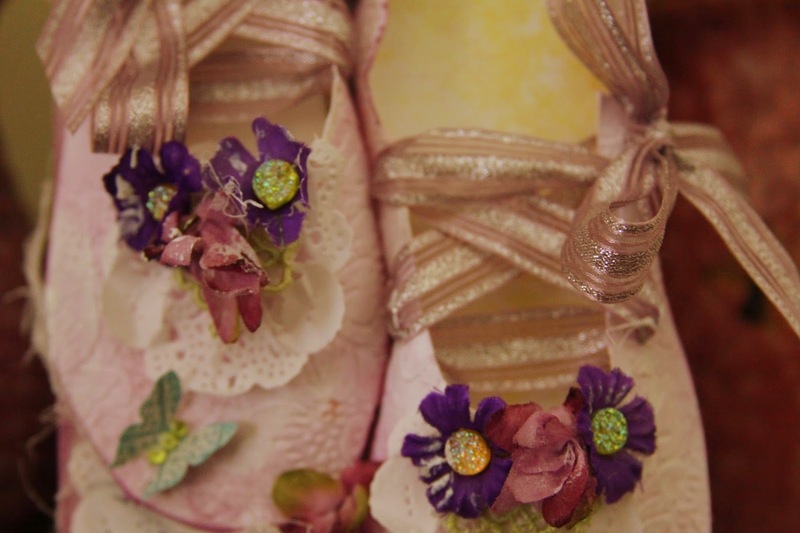 I added the bit of lace and the small flowers. 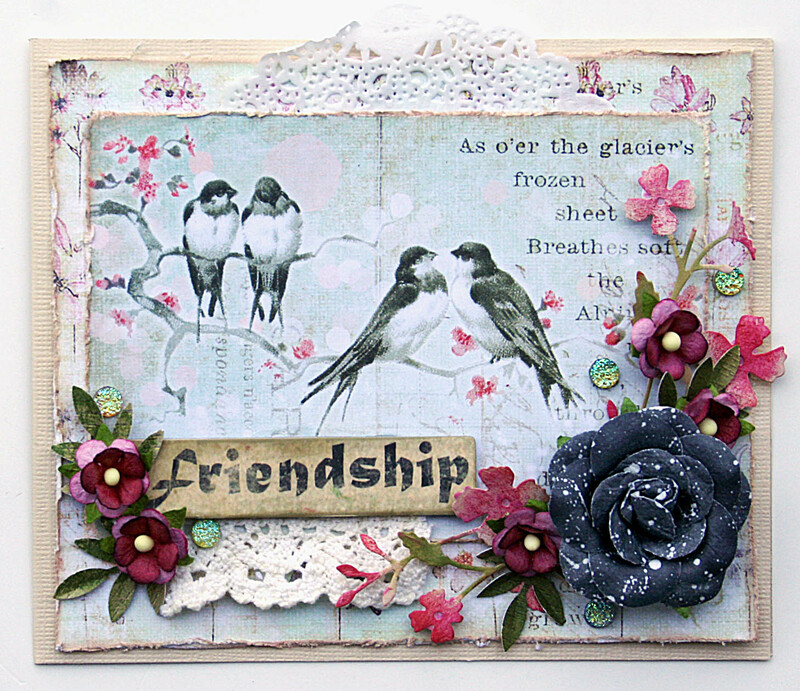 The leafy branch is a die cut using a Memory Box die from the store. Tomorrow I have a video tutorial up, hope you'll stop by and check it out! 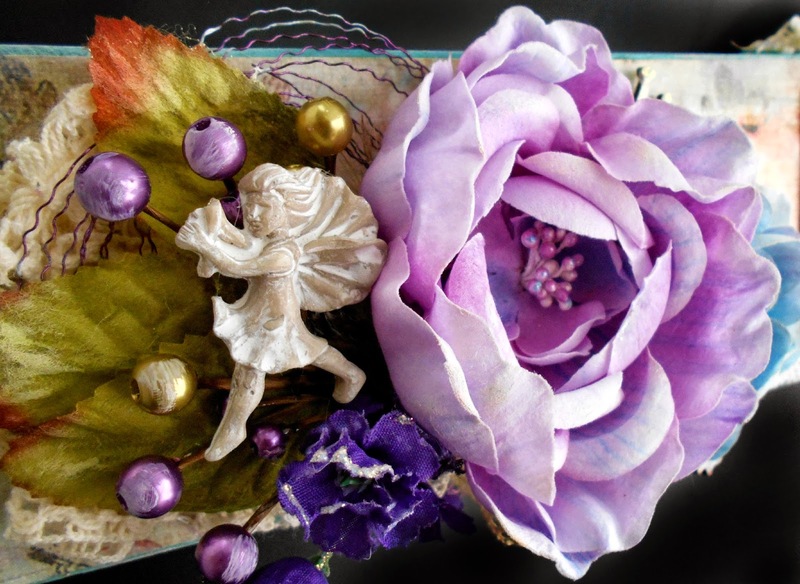 More Celestial Summer Projects with Angelica! 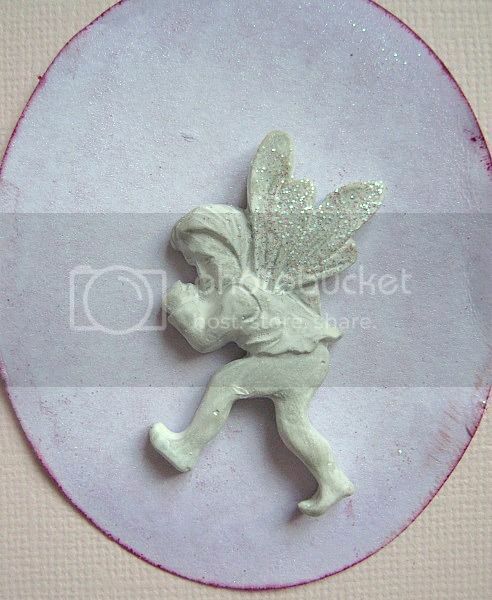 My next project is Fairy Trinket Box. 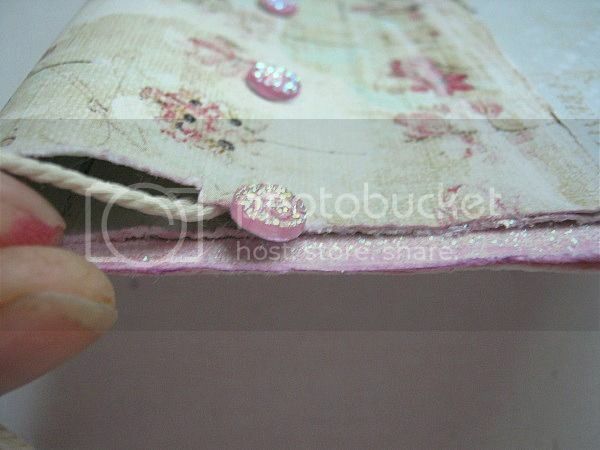 I painted a wooden box with gesso, sprayed with Prima mist then added Distress Crackle in Tattered Rose. 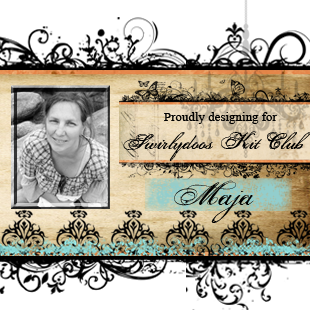 Hi =) Today I have two layouts to share with you. 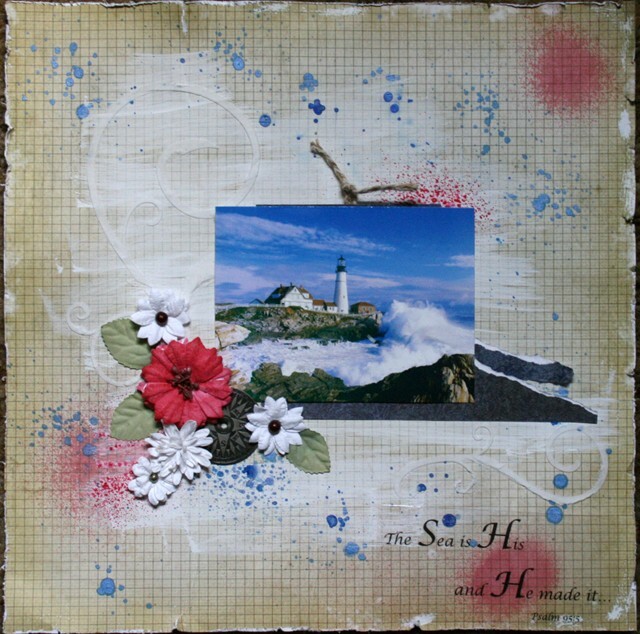 Two layouts in two different color schemes but with mixed media mediums on both. Here´s the first one.. Me and our Icelandic horse Draupnier. 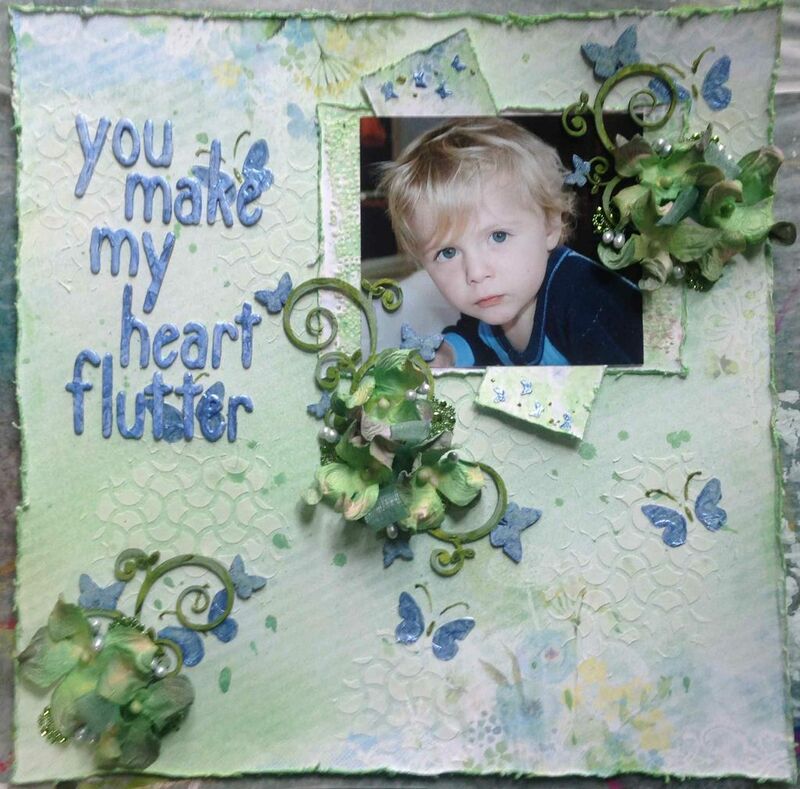 For this layout I used a diamond shaped stencil which suited well with the background paper from Blue Fern Studios. Love the SEI fabric paper that comes in the kit. 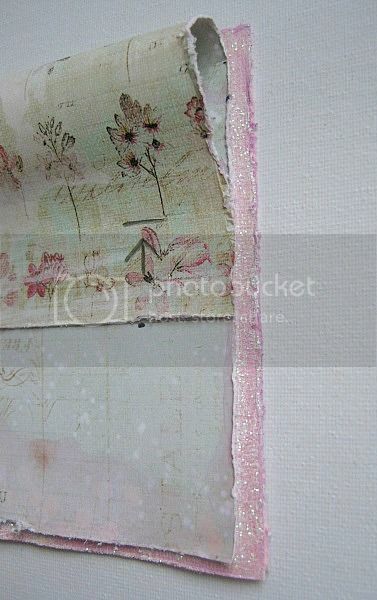 It´s easy to tear and gives soft edges that melts in with the background paper. 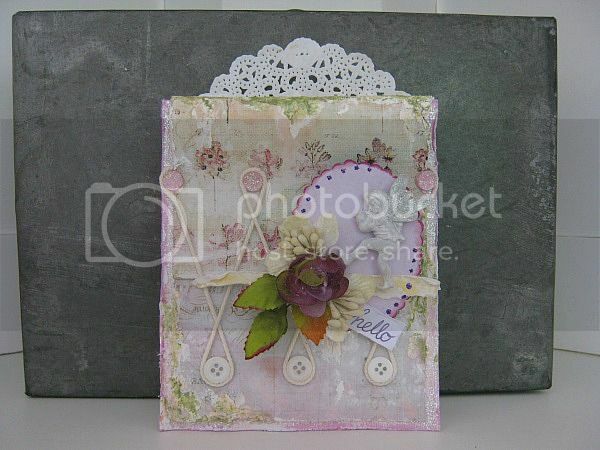 For this layout I´ve used the main kit, flower add on, embellisment add on and the medium add on. 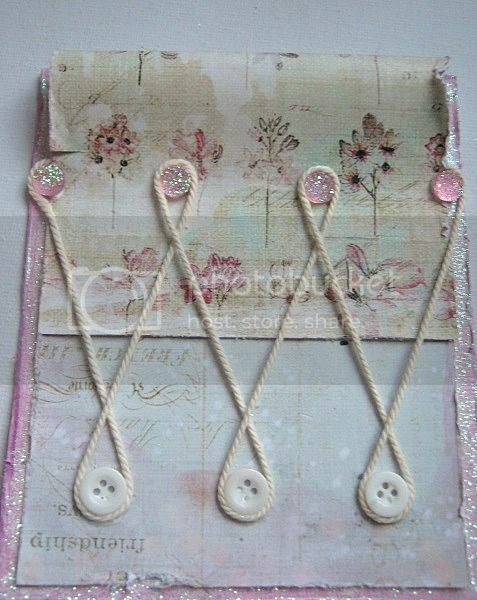 For this page I´ve used the main kit, flower add on and mediums add on. I have painted the chipboard piece with the galatos that was part of the medium kit. Celestial Summer. I have 5 grand daughters and each one of them are a girly girl. 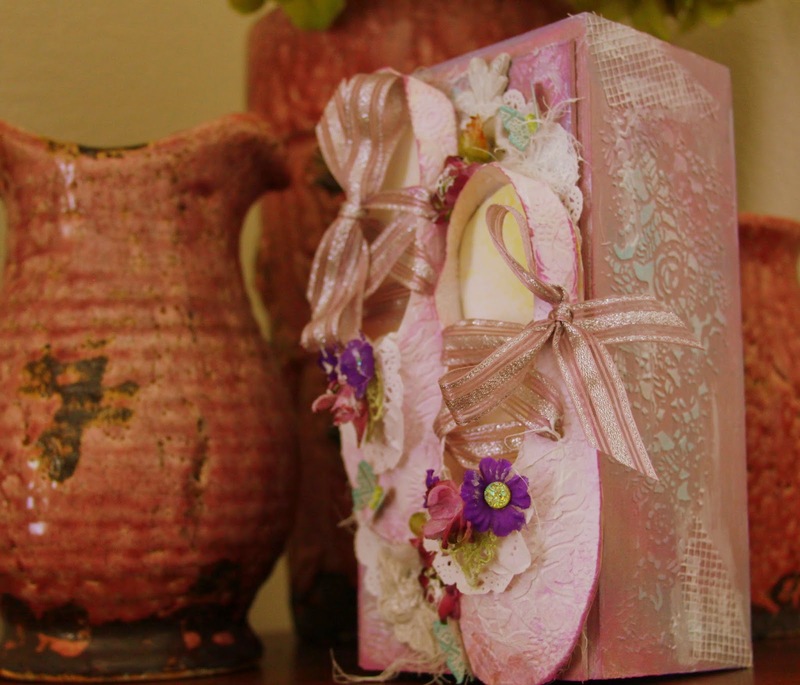 When I started this little Ballerina Keepsake Box it was with them in mind. 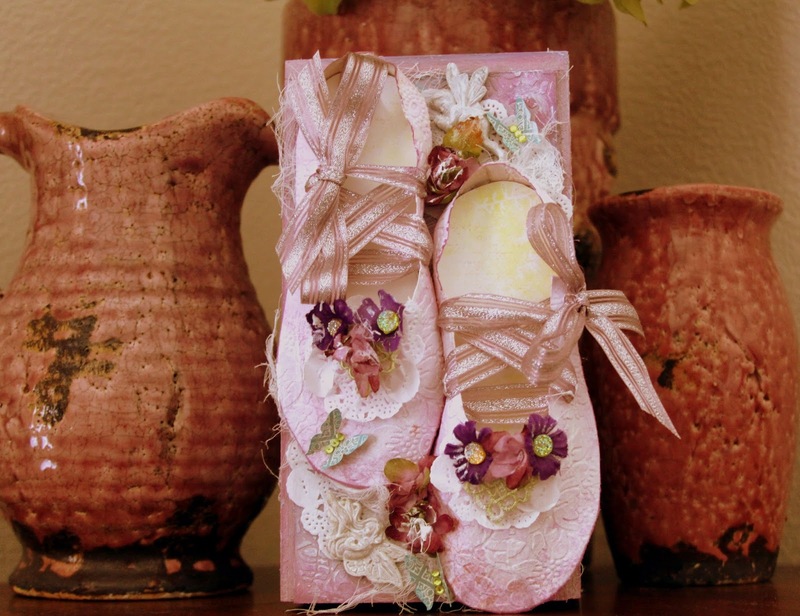 I started out by making the Ballerina slippers and then painting the wooden box to match. 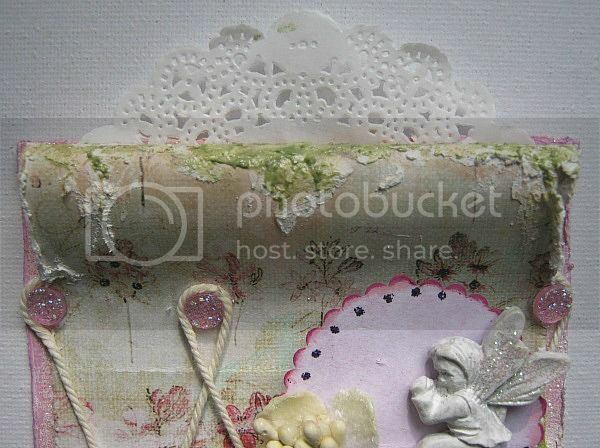 The embellishments in the main kit are perfect for this little box. I added a little modeling paste to the box along with drywall tape in random areas. I finished up with a little gesso and chalk ink. I finished up the Celestial Summer Kit with a final layout. 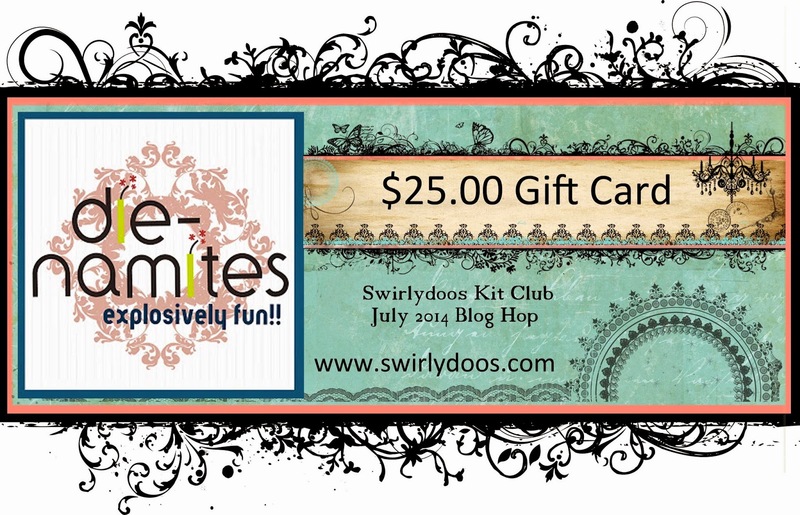 Thanks for stopping by the Swirlydoos blog today!! 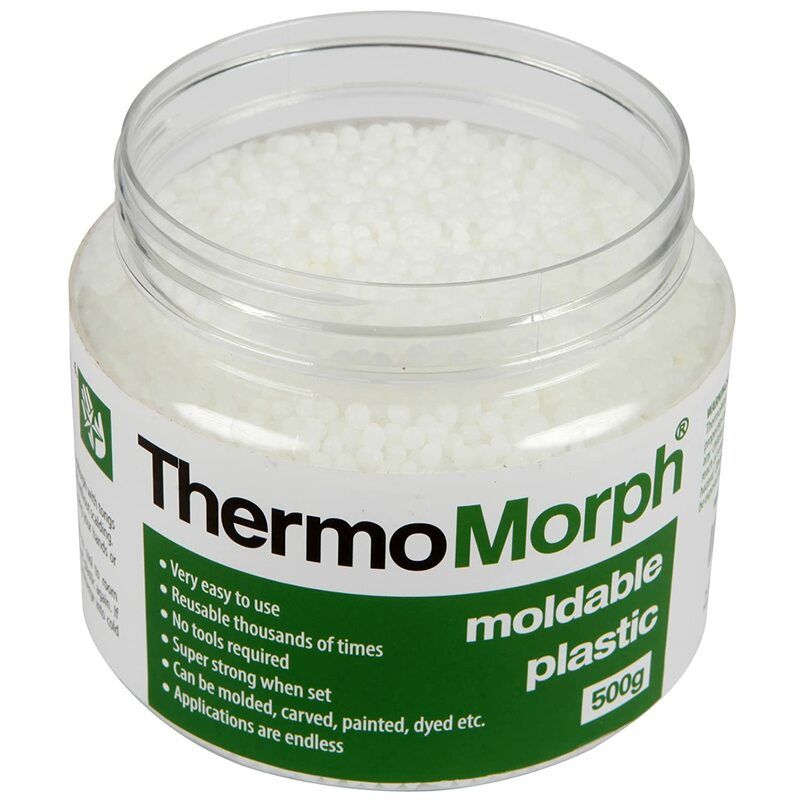 You can buy Thermomorph at amazon.com! Then I hit them with Perfect Pearl mist and the heat gun,which made the petals curl up-I really like how they turned out! 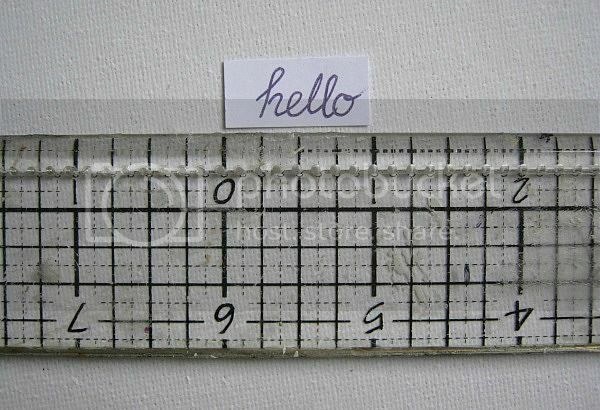 I created the pleats around the page with just water and paper strips. 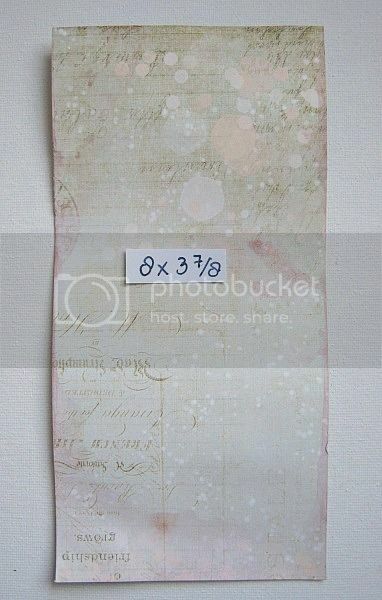 Using a prima mask and Distress Inks, I created the shaded Damask background. I liked the distressed whites that the Prima wooden tokens already had, so I left them bare. 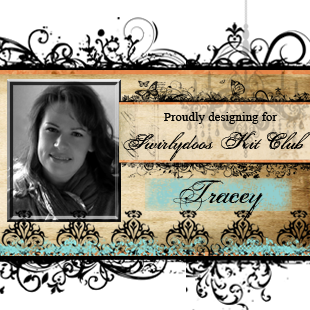 I adore all the chroceted lace in the kit and used it as a mat for my pic. 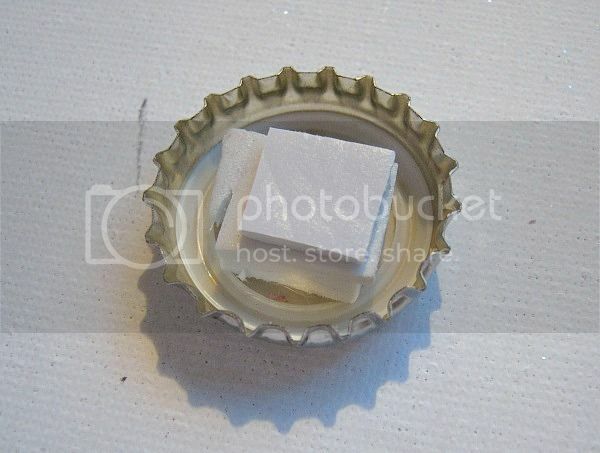 My next project uses the wooden tray that the Prima resin fairies came packaged with. 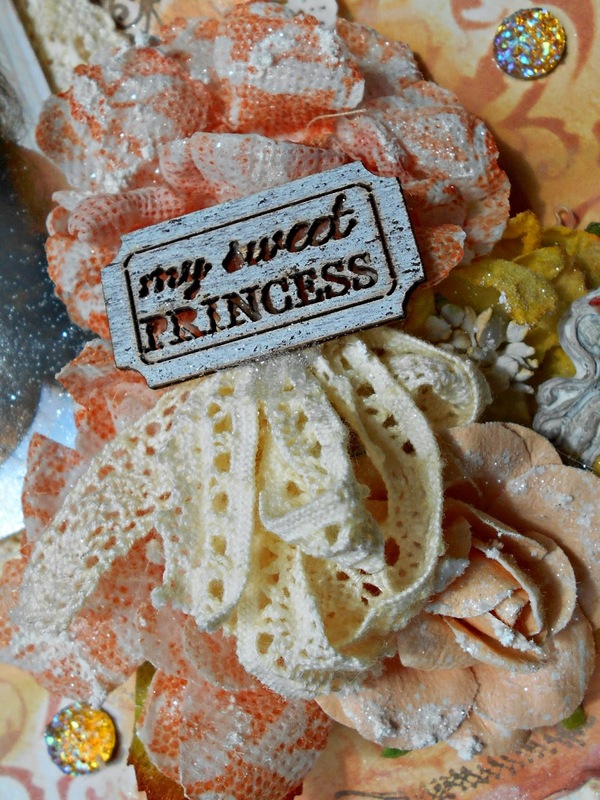 I turned it over and mod-podged the Prima Princess paper. I shaded using the pretty Shimmerz and gesso. 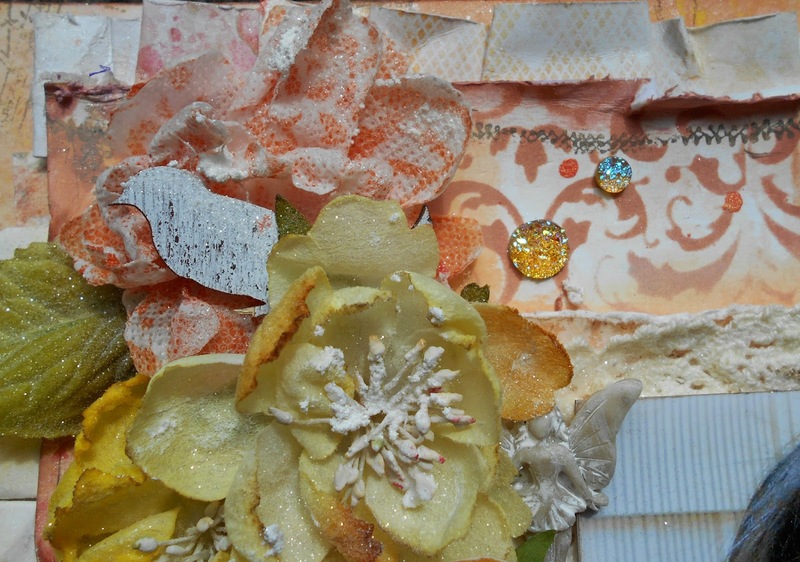 The large Prima flowers were from my stash but I think complement the paper well. 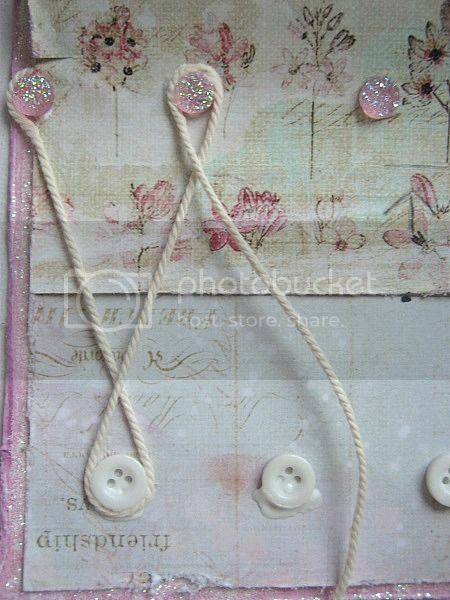 I love sparkle so everything gets a little Diamond Stickles! I need to get more of the chippie alphas because I love the font and how well they take ink. That’s all I have for today! 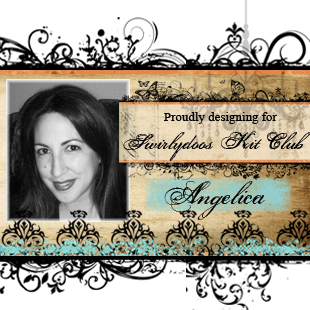 Hope you love the kit as much as I do! 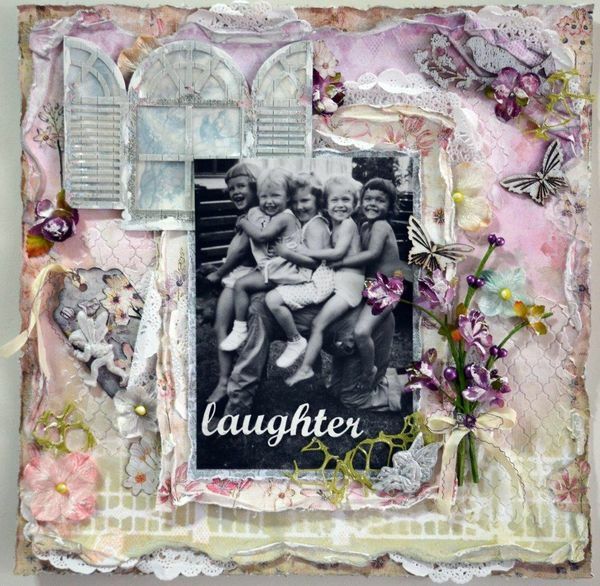 This weeks layout is this lovely page made by Cheryl. 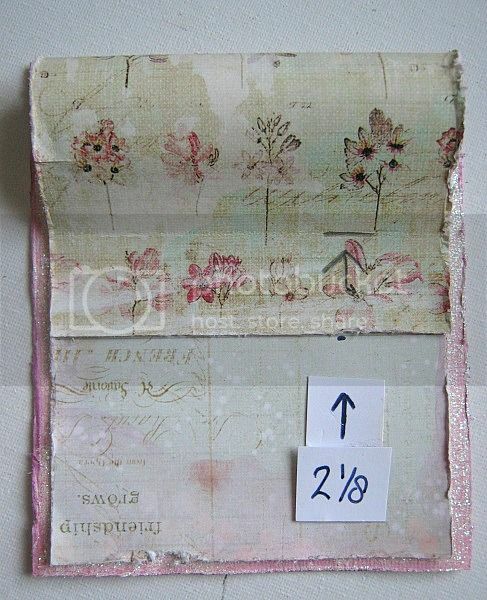 The photo is amazing and the torn pieces of paper together with the background work gives a coherent design to the page. Congrats to you Cheryl =). 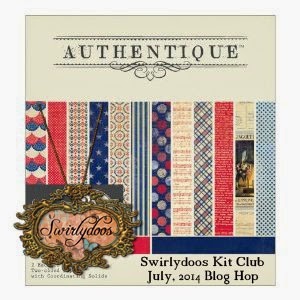 Thanks to everyone you joined us for our blog hop! We appreciate your kind comments! Krystle, you have won this Blue Fern Studios prize pack! This Die-Namites gift card goes to Stephanie! 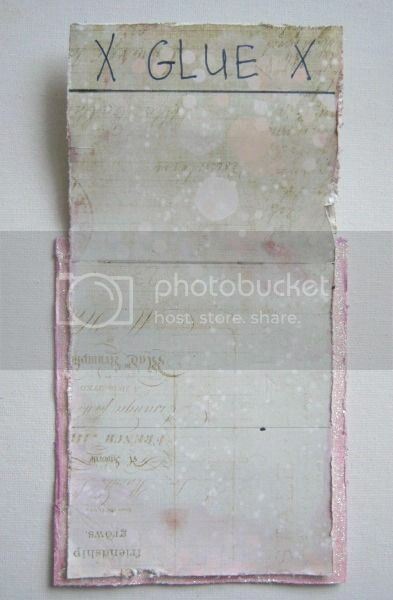 Ginny Hickmott, this Authentique paper is YOURS! 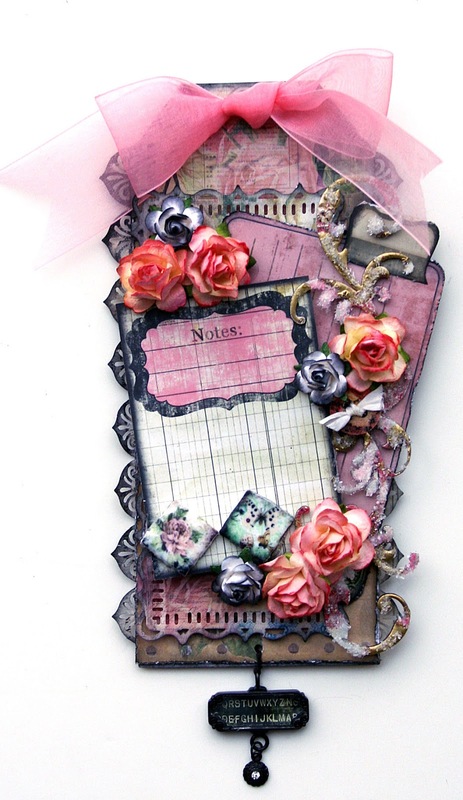 And, Linda Pekrul, we hope you will love this paper from Bo Bunny! Again, thank you for hopping with us, and be sure to join us for our August hop next month! 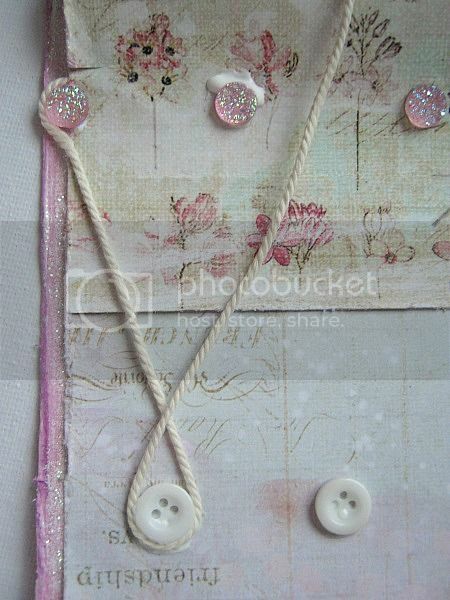 Saturday Card Tutorial, using the July ***Celestial Summer*** Collection. and of course I have photographed each step, for you to see, how it came together. 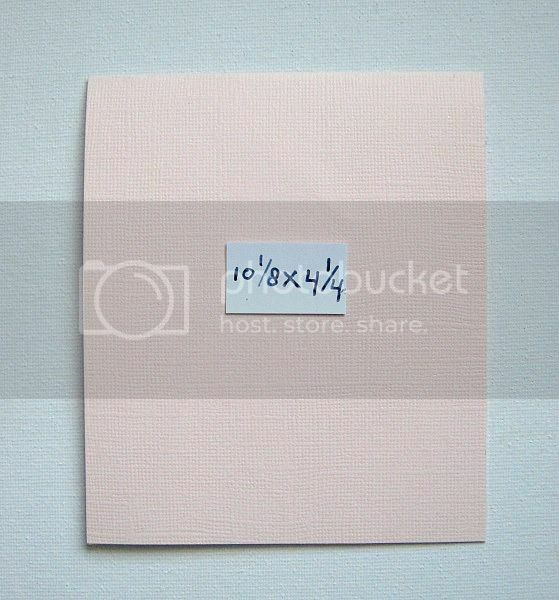 For the base of my card, I cut a piece of cardstock at 10.1/8 x 4.1/4 and folded it double lenght wise. So the fold is at the top. I spritzed my edges with a lilac mist. 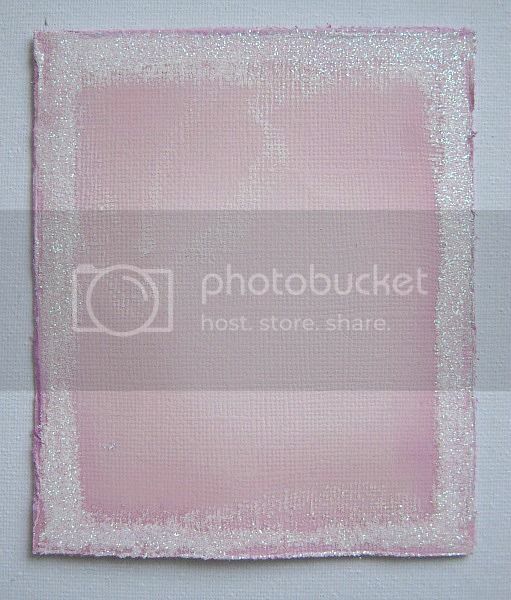 (which I made using the Izink's that came in the last 2 Medium AddOns) Then I brushed on some white acrylic paint and while the paint was still wet I sprinkled diamond glitter over it. let it dry for about 10 minutes and then fixed the glitter using hairspray. I marked it at 4.5/8 (where the line is) from the bottom and then glued that part to my base card. Like in the picture. Then I measured about 1 inch from the top, scored it, and added glue to that part. It looked like this from the side vieuw. 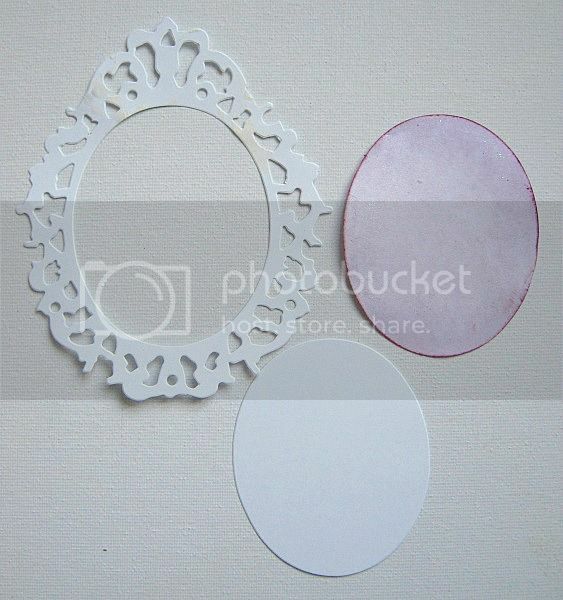 I had die cutted this frame earlier, but I only wanted to use the oval shape from the center. 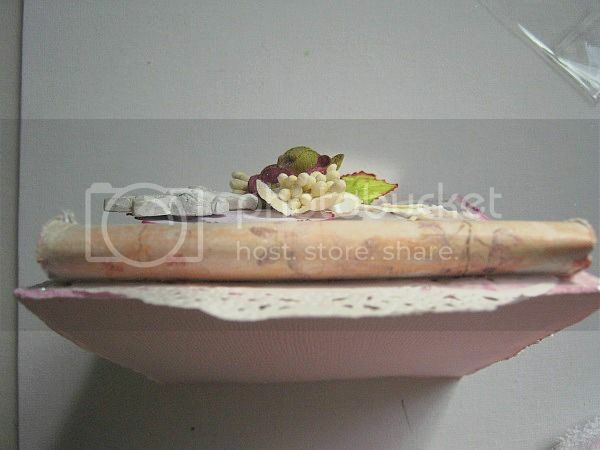 As you can see, I misted it in a lilac shade and added ink around the edge to the one I want to use. I hold the oval die cut to my base card and thougth it was a little too big. So I folded it double and cut around, using a deco-scissor. (Later on, I decieded that I needed to do that again.) I inked the edges with 2 different shades of lilac. 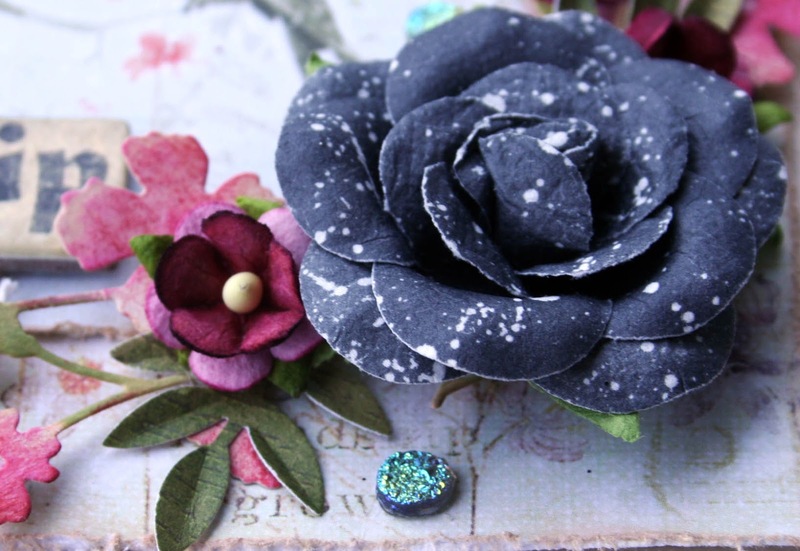 I used colorbox chalk cat's eyes. I took 1 of the fairies that came in the Main Kit. Gave it a light coat of white acrylic paint, and whilst the paint was still wet, I sprinkled diamond glitter over the wings. Set it aside for later use. 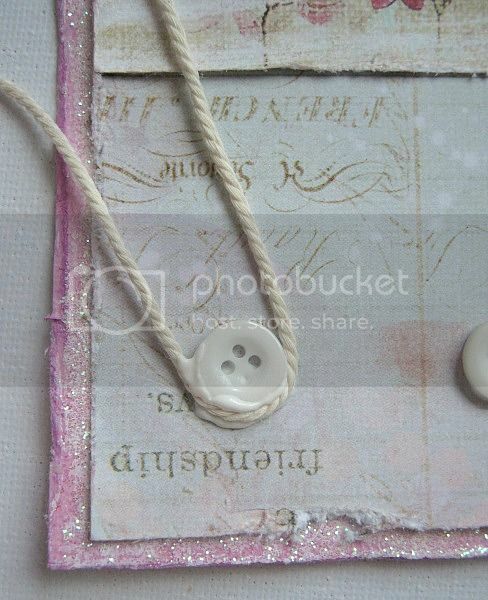 I glued 3 little buttons at the bottom of my card. I used Beacon Gem-Tac for it, as it dries clear. 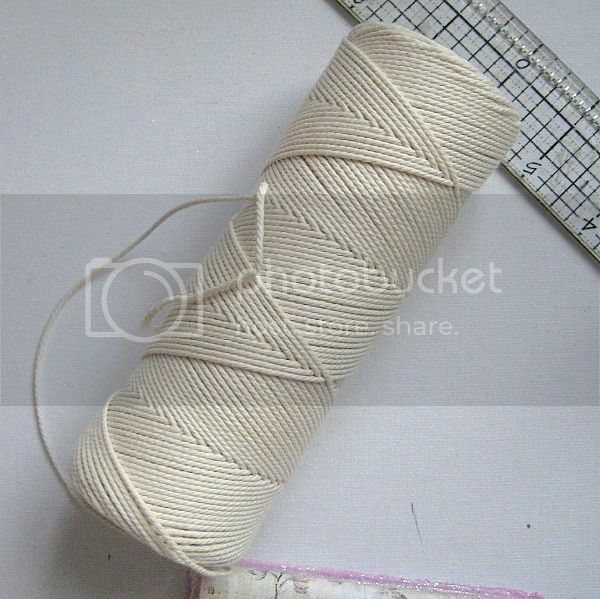 I grabbed my roll of cotton thread..
Glued one end in between, like the picture shows. 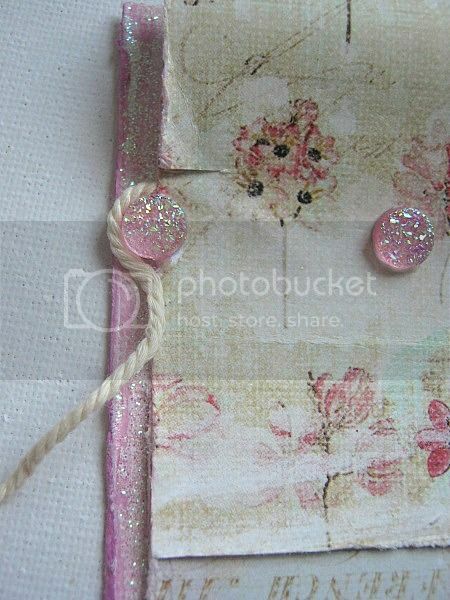 Then I moved my thread up like this, and added glue around the second sparkle. I pushed the thread into the glue and guided my thread towards the second button and repeated the previous steps. Till I created this pattern. I glued the end of my thread like I did the one, at the begin, on the left side. I love how this pattern looks on the card. It really adds dimension. 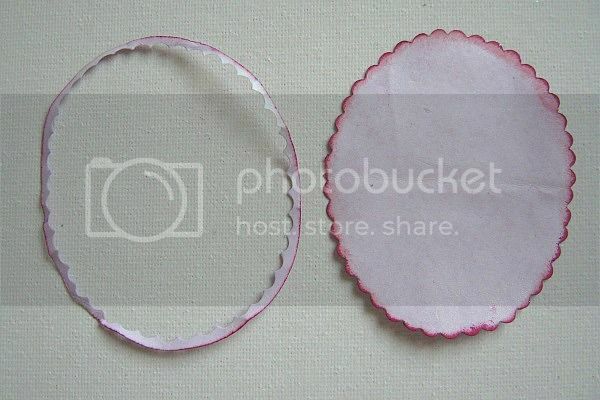 Because I want the oval die cut to stand out from the card, I took a bottle cap and filled it up with foamtape. Then I hot glued it to my card. This is going to be the base for the oval shaped die cut. I could have used foamtape alone, but I thought it was taking too much time to go in between the lines of the thread. 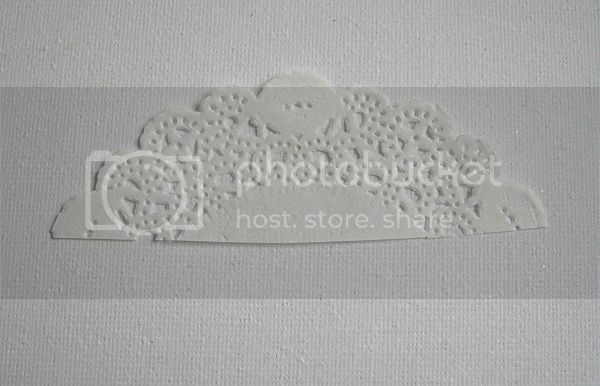 Then I took a piece of scrap, which was perfect to go on top of the die cut and be the base for my flowers. 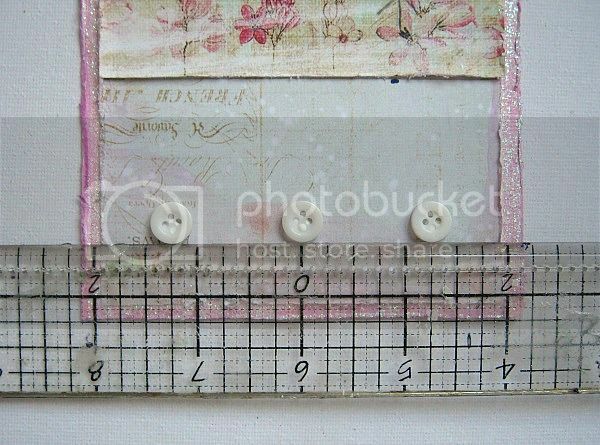 I glued it like this, and I also added a few tiny dots to the die cut, using Stickles in purple. 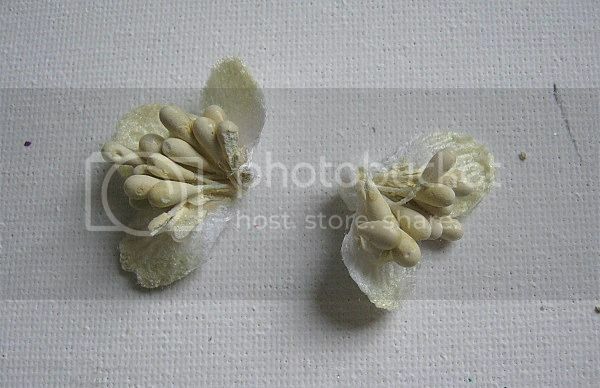 I added the resin fairy, the leaves and the 2, half flowers like this. And then the little Petaloo rose that came in the Main Kit. scratched the edges with my nails and glued it in place. After the Dazzlerz dried, I added some structure paste with a palet knife and let it dry. (this dries fast) Then using the Shimmerz Texturez in Artie-Choked, also from the Mediums AddOn, I dabbed some on top of the structure paste using my finger. If you didn't get the Mediums AddOn, you can use any paint of your liking. 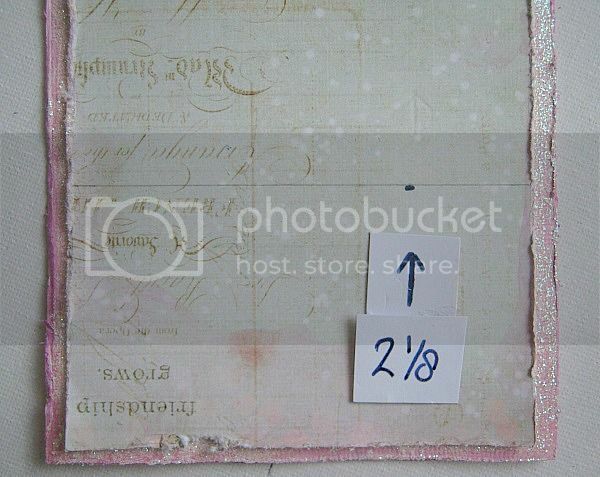 The texture is already there because of the structure paste. I also added, some of the above, to the bottom and sides of my card. And I called it done! I hope you like it, and picked up a few tips. July Reveal and Blog Hop!